In an effort to improve the lives of their employees, the federal government has expanded their services to include many things to increase their employee’s job satisfaction. Among the perks are cafeterias, lodging, and other hospitality services, they like any other service provider, need the equipment and supplies to run these enterprises successfully. However, instead of going through a big corporation like most hospitality businesses do, GSA Schedule 73 was added to GSA Advantage as a means for the government to buy directly from any company that meets the requirements of GSA. The government, in order to support small businesses around the country, developed this program. As a provider with GSA, you will be able to not only sustain your small business but make it more profitable. The hospitality supply business covers a wide range of services and products but GSA schedule 73 has broken it down into relative categories. With all the different branches of government from hospitals, office buildings, barracks, and even the Whitehouse there are hundreds of different chemicals the federal government needs. When you think about all the buildings that the federal government has to keep clean you can see the potential to make a great deal of money for your small business. Contracts can include cleaning equipment and accessories, cleaning chemicals and sorbents, janitorial supplies. Between military bases and other lodging establishments, there is a need for personal care items such as toiletries and linens and lodging supplies. Covering a wide range there is a need for hospitality supplies like table clothes, silverware, glass ware, and just about anything else you can think of to execute a banquet or party. The potential to make money supplying these products is unlimited. Like any other party, a government function needs the same planning as well as preparation. If you own a hospitality business this is a perfect way to generate income. Your company could be responsible for each step of the process from the planning to the cleanup. Most importantly once you are contracted other government entities can use your service as well. For those who specialize in outfitting hospitality workers, there is also a place for you on schedule 73. 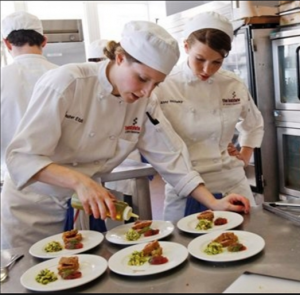 Whether it’s waiting for staff uniforms or a chef’s coat the federal government has a need. All those people who work for the government need to eat whether it’s on a military base or at the white house. The government will need a way to cook all that food as well as the people to cook it. With as many employees and functions that the government is responsible for there is a need for trash receptacles as well as recycling bins. Whether for the short or long term, someone needs to supply them. If you own a small business that specializes in food service, hospitality, or restaurant supply you can’t afford to pass up the opportunity to work under GSA schedule 73. Your business will not only grow but thrive. If you are interested in getting on GSA Schedule 73, contact GSA Scheduler today.